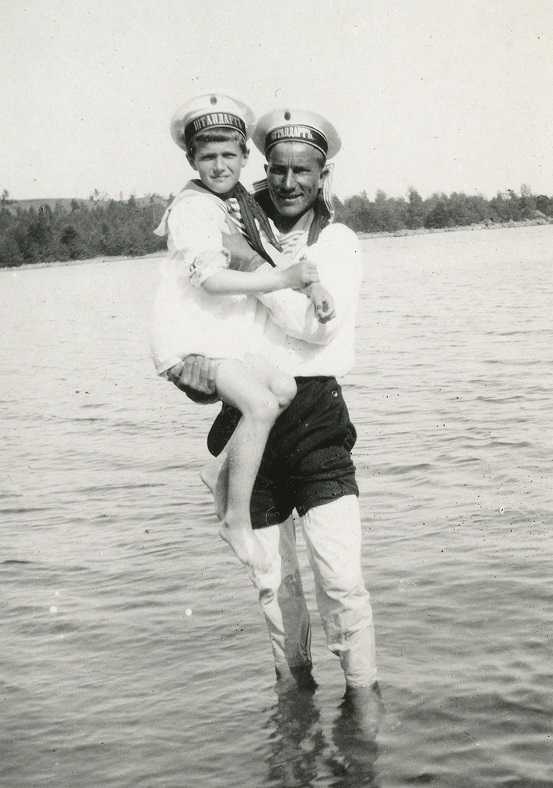 Klementy Grigorievich Nagorny, the last Dyad’ka (“Uncle”, or sailor nanny) caretaker of Tsarevich Alexei, was born in 1887 in the Village of Pustovarovka, to a peasant family. 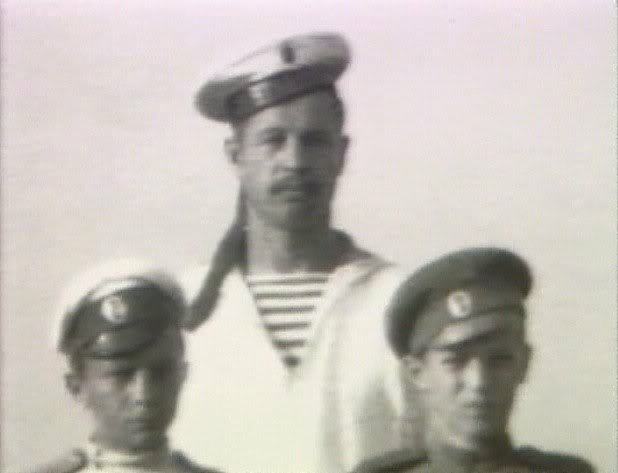 Nagorny became a sailor on the Imperial Yacht “The Standart”, and eventually was appointed as assistant caretaker of Tsarevich Alexei, to the Boatswain A.E. Derevenko. 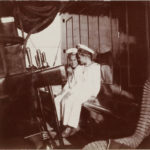 Nagorny’s main duties as Alexei’s “dyadka” were to accompany the Tsarevich during public appearances, entertain him, and most importantly guard his life and wellbeing. 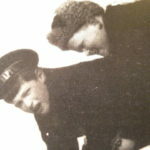 As Nagorny carried the heir to the Russian throne in his arms during Tsarevich Alexei’s bouts with hemophilia, his position was especially vital when the revolutionaries were hunting down members of the ruling Romanov dynasty. 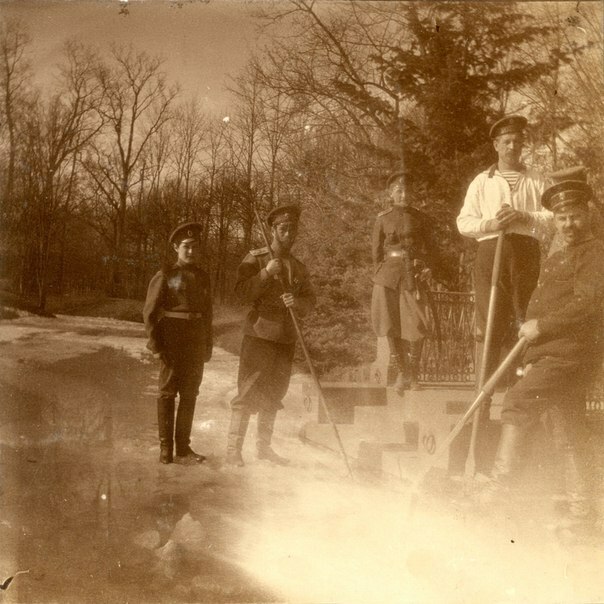 After Derevenko left Tsarskoe Selo with the revolutionary sailors in 1917, Nagorny became Tsarevich Alexei’s main (and last) “dyadka”. 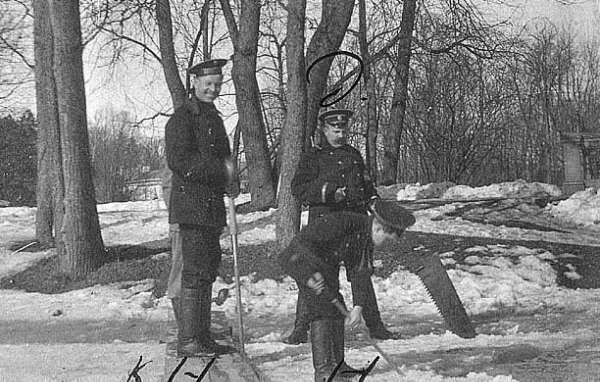 While many members of the imperial suite were abandoning the deposed Romanov family in order to save themselves, Nagorny chose to voluntarily follow them into exile to Siberia, aware that he was risking his own life. 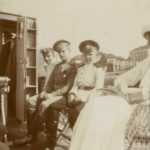 Eyewitnesses later recalled that Nagorny could never silently endure the abuse that the jailers flung at Tsarevich Alexei and the rest of the imperial family. 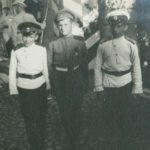 Once inside the Ipatiev house, Nagorny regularly spoke out in defense of the oppressed prisoners and even once washed from the walls the offensive rhymes and indecent drawings made by the guards, which he did not want the imperial children to be exposed to. 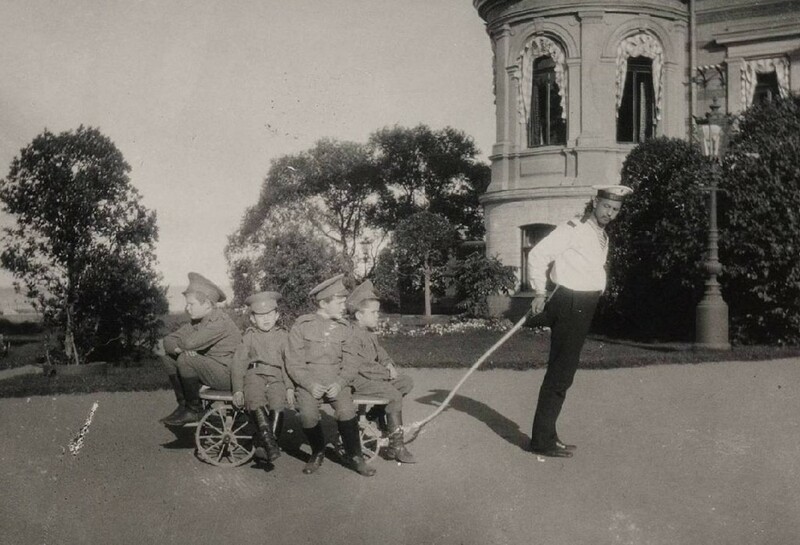 Nagorny paid dearly for the loyalty to his beloved Romanov family: with his very life – as he himself predicted. 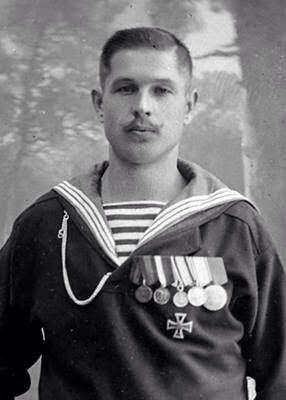 This noble and faithful sailor was taken away and brutally shot on 6th July, 1918, only days before the Romanov family themselves were murdered. Klementy Grigorievich Nagorny was only 31 years old at the time of his murder, he never married or had any children of his own. His faithful servant and honest friend. In your last hour you were blessed. In his Holy Motherland’s myths. 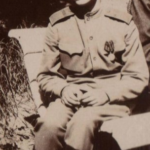 ON THIS DATE IN THEIR OWN WORDS: ALEXEI ROMANOV – 5 MARCH, 1916. Makes you wonder if any of the grand duchesses had any feelings for Nagorny, especially during their final weeks of imprisonment. He isn’t that much older than Dmitri Shakh-Bagov or Malama, and is younger than Nikolai Demenkov. Assuming the birth dates are accurate of course. This is so very nice to read an article about Nagorny- he clearly deserves to be mentioned and not be forgotten. But are you sure that picture no. 1 and 4 are Klementy? 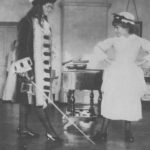 It seems that this shows Derevenko the sailor nanny who was in charge of Alexej too but abandoned the Tsar family to save his life ? 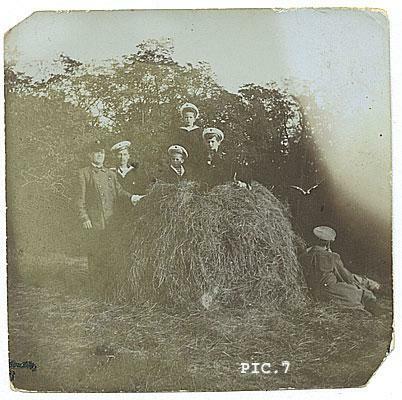 Is it possible to acquire or purchase a good resolution image of Klementy Nagorny. I am referring to the top of the page with him photographed with his dark sailor suit.